Live Streaming on Firetalk Beta! Greetings friends! Earlier today on my Periscope I announced that due to technical difficulties with the platform on Android I will no longer be using it to live stream. I understand this would make it hard to watch and stream on the go right now, but it’s OK. Something new and better is coming. An old friend has come back rising like a Phoenix from the ashes. It’s called Firetalk, and in its heydey it was a really neat VOIP platform where you could talk to people in these all-voice chat rooms. Somewhat like TeamSpeak but you didn’t have to set up a server and all that jazz. It died after a while and was gobbled up, and now has been transformed into an online live streaming platform akin to YouNow and Periscope. Honestly, it’s more like YouNow, but it has a much fresher UI and cleaner experience. Mobile apps are coming soon, hopefully before the summer ends according to their team. You can visit my channel by clicking HERE. 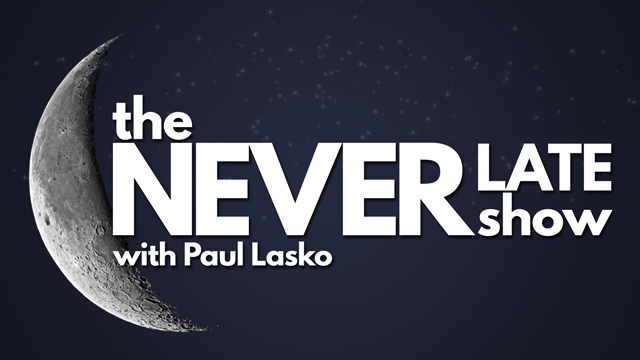 I will be live streaming updates about The Never Late Show on there. Stay tuned to Twitter for when I’m online! I’ll try to announce streams ahead of time. Make sure you register so you can chat along with me and watch for their mobile apps in the iOS App Store and Google Play Store.